I don’t think the Prospress team has ever looked forward to a WordCamp and a meetup quite as much as we did this one! And we were certainly not disappointed by Paris, WCEU 2017, or our Prosparis meetup. 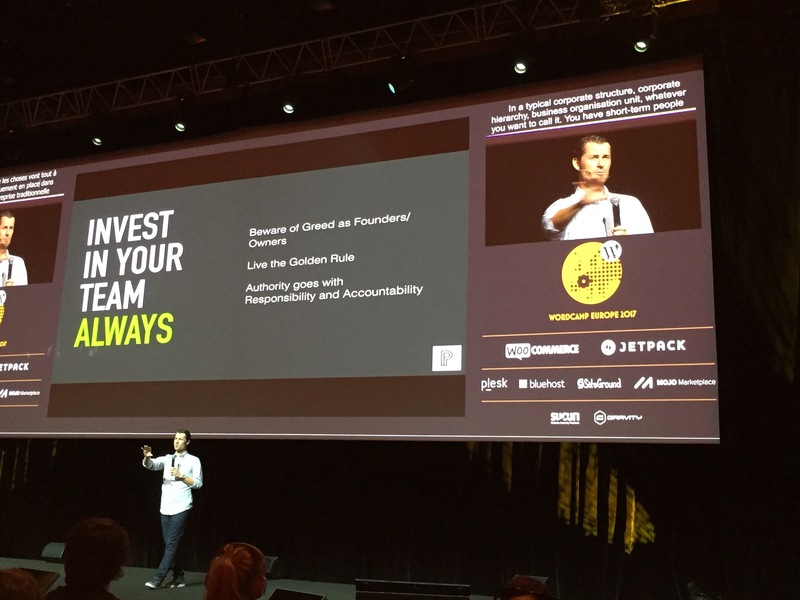 I’ve split the wrapup of the two days of WCEU into this separate post, because there is just so much to cover! If you want to see the fun we had on our “company” days in Paris, head over to the Prosparis post. If you weren’t one of the 1900 happy people that made it to Paris this June, or even if you were and want to relive some of the magic, read on! I suggest you brew a cafe au lait, warm up a pain au chocolat, maybe even pop on a beret and grab a baguette, because this is an epic post. Once I started wrapping up WCEU I couldn’t stop. The first day of WCEU saw the team up and out the door early. 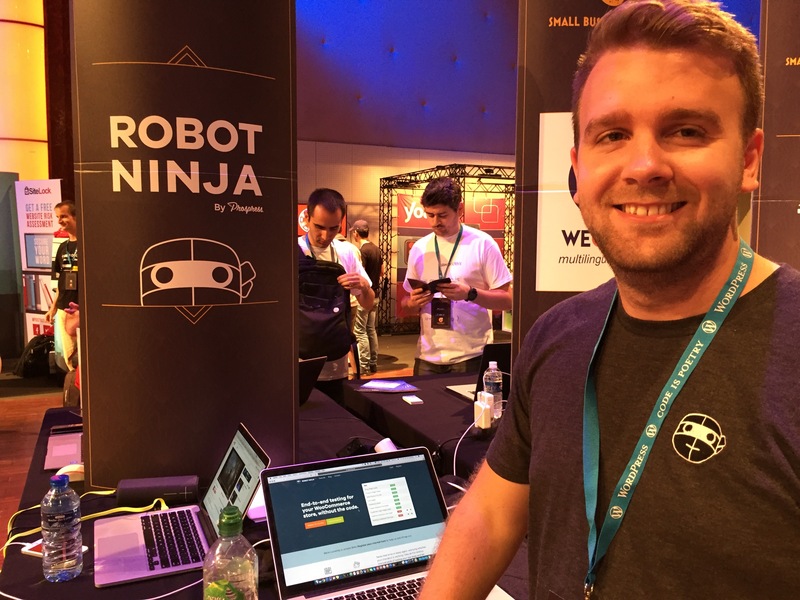 We had an important job to do: introduce Robot Ninja to the world. 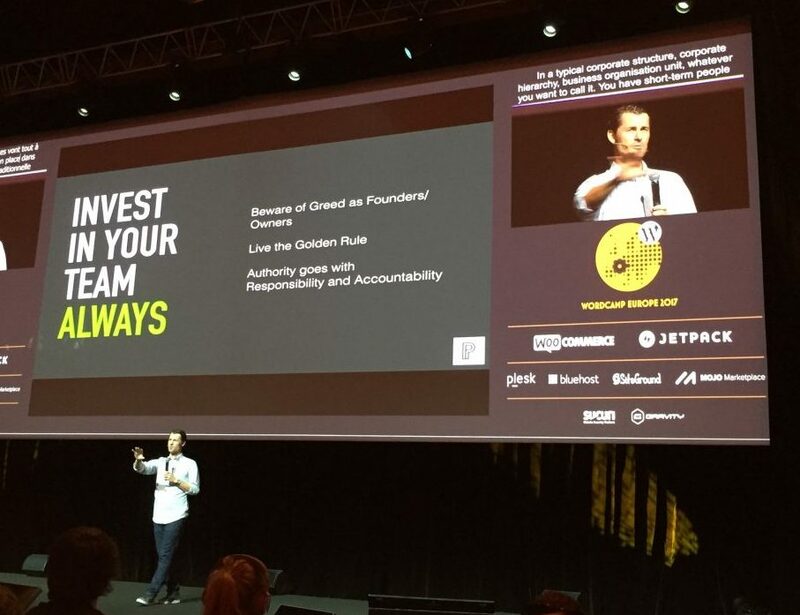 While Matt and Jason have been hard at work on developing this product for over a year, and the rest of the Prospress team have known it was coming, WCEU was its first public outing. Robot Ninja was a Small Business sponsor, which meant we had a small booth in the sponsors’ hall. Matt was all prepped for the big day, with his laptop ready to run live demos. Jason might have been at home in Australia taking care of a new baby, but he was right beside the phone for questions and support. The rest of the team hung around the Robot Ninja booth to kick off the robot dancing, set up our swag, and start answering all the questions about our new product. We held a little dance party at the booth, and were so excited by the number of people that showed us their best robot dance moves! It was a great opportunity to get feedback from everyone on the concept, and lots of folks sign up to be notified when the beta is available. We gave away 70+ hoodies in 2.5 hours! After the excitement of helping out with the dance scene at the Robot Ninja booth, I moved into the main hall to see the first round of lightning talks – a selection of talks from people around the world who contribute to WordPress in different ways. This ranged from Alice Still talking about the benefits of meetups, to Pascal Birchler who is translating WordPress into Rumantsch, keeping this dying language alive. Josh Strebel delivered some great advice for everyone, not just business owners. His talk has just been uploaded to WordPress TV, but here’s my best effort at summarising the main points. A bad attitude is not worth any amount of productivity. Culture is so important. It needs to be nurtured and cultured and viciously defended internally. After all, without a good culture, what are we doing? Nobody wants to punch a clock and work for the man. If you get involved in #WPdrama, you will get a target on your back, and a name for being a rabble rouser. But that’s not to say you should be a wet noodle and just lie down. It’s ok to say what’s on your mind… but mind your tone. Air grievances in private. Play nice – be strong and have conviction – but play nice. Don’t iterate your product but iterate your value proposition. Get clear on what it is that you are really good at, what it is that you are better at than everyone else. Even if you say it differently from everybody else, this gives you space you can claim as your own. All success is due to the team. Invest in the people in your company to such a degree that they can’t see themselves doing anything else. This is not just financial, it is about creating a space and a culture and defining a mission that people can get behind. It’s also about standing back and letting people get out in front and flex their wings. Imagine a conversation between your employees and their friends in private. Imagine they are asked the common question: How’s work? If you don’t like how that scene unfolds then you have work to do. If your employees are not answering well, you are not getting the best productivity. Golden rule – do unto others. I was excited to see Marina Pape’s talk, as she’s been so integral to the Woo message for the entire time I’ve been working with Prospress. With change you have choices – you can dig in and refuse to give away Legos, or you can embrace it. This was a timely message for me, as I’m currently having to “give away my Legos” to Carolyn. I still want to do everything, but I quite simply can’t. A diverse team can help produce content that’s diverse. When you become conscious of unconscious bias, own it. Make content that’s more like a cocktail party and not so much like a Tupperware party (where people would try to sell you things). Focus on something called ROF = Return on Feels. This means doing things just for fun or just to make people smile. A miserable team does not produce good content or products. Emails to your list can include both information about company culture, and product information. e.g. Metorik is doing this really well. Social media channels are a chance to speak to people so what you put out on those channels is important. There is a difference between instincts and gut feeling vs data. Data is essential to improve – you can pursue a data driven evolution towards efficiency. Marina summed up her talk by explaining that at the end of the day, emotional connections make the difference. Once upon a time, brands were “expensive”. They were huge monoliths that could be constructed with enough money and expertise on your side. Now brands are like brush strokes or photos made up of pixels. On Friday night our team invited a few friends to dinner at Le Bon Georges. Before we go any further in this tale, I need to recommend that everyone go to this restaurant when next in Paris. The waiters are the best, the food is very French, and the decor is genius in its eclecticism. All in all, the venue was on point for our Prosparis fun on a Friday night. And that’s before we even get to our dinner companions, which included the Prospress team (of course), along with several fascinating friends from the WordPress community. The dinner conversation was non-stop, hilarious, and exciting. Again, I was given pause to wonder if this is the kind of evening the bright, young(ish) people enjoyed in the 1920s. If eCommerce was a thing for the Lost Generation, is this how they would have expressed their creativity? At the end of the night, we reluctantly said our farewells with the knowledge that the dinner would be one for the ages. Despite the late night on Friday, there was no way I was missing Andrew Nacin’s talk on Saturday morning. For one thing, I hoped that being in the same room as him would teach my brain what wavelength it should think on: he’s a very smart guy (#notfangirling). For another, his session at WCUS was one of the highlights of that entire WordCamp, and I was keen to see what wisdom he’d drop this time. As it turns out, I could pretty much respond to this entire talk with the raised hands emoji. Since his topic was “People over Code”, Nacin then turned to the value of soft skills, and how important it is to keep the end user in mind. He explained: “do not underestimate the value of an easy solution. Your job as a developer is not to write code, it is to solve a problem”. How well can you explain non-tech to tech people? Nacin’s advice on how to achieve this was to communicate without jargon, and bear in mind that your interactions with others end up mattering more than the code you write. I especially liked his explanation that “The code you write can improve your interactions with others”. For example, if you are doing something like code review and constantly making little unnecessary comments, over time you are expending valuable social capital. This struck a chord with me, as we know that social capital takes a long time to build up, and can be a precious and scarce commodity in a team environment. And finally, Nacin wrapped up by telling us: “You can make a bigger impact with people skills than just with code”. Preach. code is craft, and craft is a skilful creation of useful objects. The difference is that artistic objects are not meant to be used functionally (you wouldn’t use a painting as a doorstop), whereas crafted objects are meant to be used functionally. Next, Boone suggested that thinking about coding as craft helps to bring us closer to a more grounded sense of class. There is a tendency for people with technical skills to think of themselves as somehow better than mere mortals. For example, tech CEOs, who have achieved tech success or business success have the perception that they can remake society in their own image (and call it disruption). The advantage of thinking of oneself as a craftsperson, and more like “mere mortals”, is that craftspeople have a long history of collaboration. For example, a house, a ship, a computer, and a CMS are too complex for one person to build on their own. Part of the tradition of craft is to work together – so thinking of code as craft makes it a first strategy rather than something to resort to when individuality has failed. Furthermore, thinking of code as a craft situates it and developers in the world in a way that is healthy. Writing software helps meet goals, but software is not an end in itself. In the same way, WordPress itself is not the point – the point is giving other people the tools to do what they do “out there”. 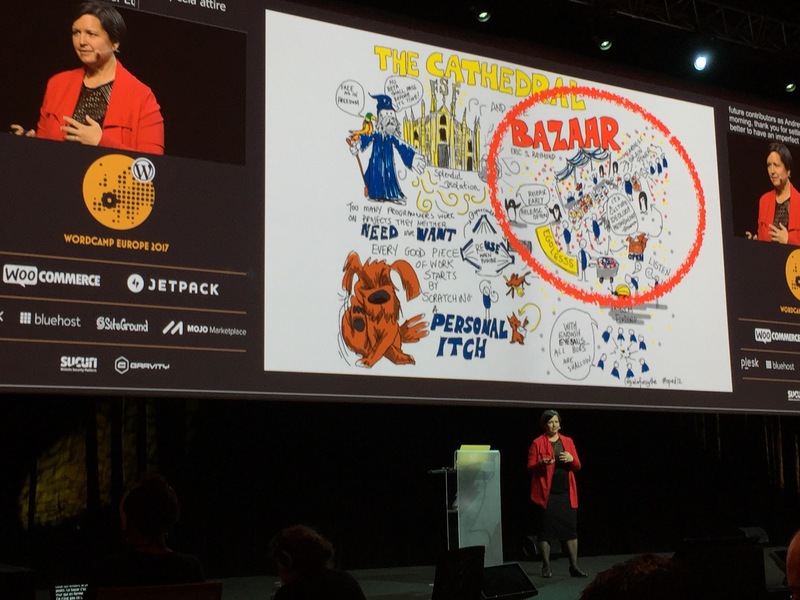 Andrea Middleton explained the principles behind a book by Eric Raymond: software development takes place either in a cathedral or a bazaar. get a group of software developers, stick them in a room, and get them to work on something – then release the product and keep the nuts and bolts to themselves. problem: software written by people who are never going to use it is never good software. turns the process around: publish the source code, and allow anyone who is capable of contributing to the project to help build it. Adding a developer or group of developers is conventionally thought to slow it down… BUT with enough eyeballs, all bugs are shallow. when building project with users, whenever they find a bug it is not a problem – because everything is public and open, anyone can learn how to provide fixes to everything. results in constant stream of motivated, interested contributors. WordPress is a “28% of the internet, volunteer coded, volunteer run bazaar”. rapid release cycle means that the project isn’t ever perfect. successful open source projects avoid perfection like the plague. perfection is a wall around the participatory space. It’s better to have an imperfect product than to have a perfect product that no-one uses. These principles of openness, transparency, iteration, and imperfection are all put to use in building community. This set of lightning talks were themed around “Inspiration”. We heard from a range of awesome folks! The session started with Thabo Tswana discussing how he went from a one person WordPress meetup to organising WordCamp Harare. Then, Marco Calicchia talked about making the most out of WordCamps. Alice’s talk was about her experiences in starting work for a popular WordPress plugin as a total newbie. I thought her advice translated well to anyone who is a newbie at anything, and will recommend the talk for all the new peeps we have starting with Prospress at the moment. impostor syndrome kicked in, and she felt like Penny from Big Bang Theory – surrounded by intelligent friends who eat WordPress for breakfast. Be brave and start putting into practice what you’ve learned (in Alice’s case, this meant she had to start answering the questions that she was paid for and solving customer problems). Ask questions, shamelessly – no, people won’t hate you for this. Don’t let your impostor stop you. Your inexperience could be an asset! For example, every time her workplace wants to publish a technical blog post, she can read it and advise whether a beginner could understand it or not. I so agree with this: from time to time it’s another of my roles at Prospress: can a non-technical person understand this documentation or this on-boarding process? Gutenberg is a block based editor, that works on mobile “of course”. It’s available in the WordPress plugin directory. Before Matt came up on stage it had 10 active sites in the world. Matt really wants people to try it out (he said it several times). It’s the future of customisation, and will replace widgets. Being able to build this in 2017 has allowed the team to concentrate on “what is the best experience you can have”. The editor has a very clean interface – this will be the future. When a dashboard loads, it will show local events nearby. The WordPress community is the best part but people are not aware of what’s going on nearby. Later in the Q and A section, Matt pointed out that they are not trying to be similar to Wix and Divi. WordPress is trying to leapfrog not catch up. Gutenberg will make things easier and more intuitive for users, but also better for power users. You can do all the things you used to do but can do it faster and better than before. We all know Prospress is a team of introverts: we don’t pretend to be anything else. And internet geeks in general are quiet types, not well-known for their wild parties. 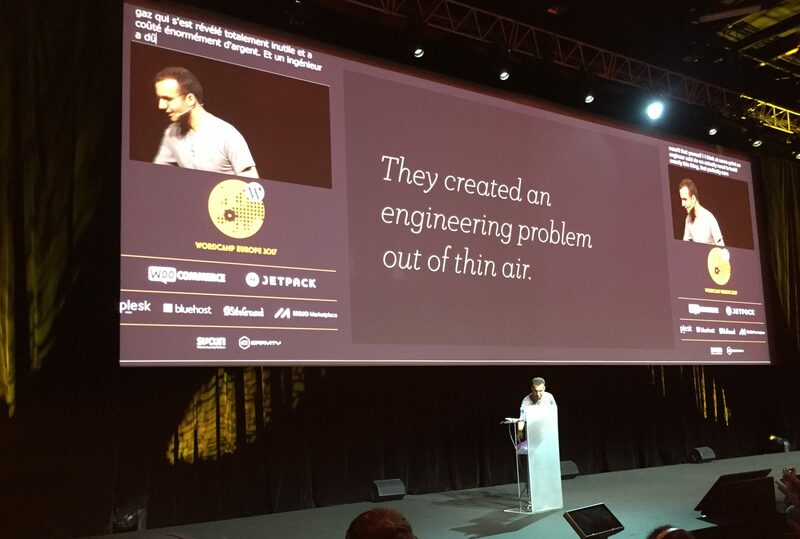 Except, that is, at WCEU. There was actually a pact between the majority of the Prospress peeps to the effect that we’re going, but only to have a look, and then we’re leaving after one hour. But by the time we stood in line for dinner (#foodgate), and some of those catchy dance tunes got under our skin, we realised we were having a good time! Ok, so we didn’t get blackout drunk and tear up the dance floor, but everything is relative. We thought we’d leave after an hour, but stayed until about 2am. This wrap-up wouldn’t be complete without a shout out to Didi! About 2am Friday, I got a Twitter notification that someone was looking to use one of our spare tickets. We messaged back and forth, and Didi was confirmed as our honorary team member for WCEU. It was such a treat to get to know her over the course of the weekend! We hope we’ll get to chill with this awesome woman again soon. For Nick, it was the reminder from Matt Mullenweg that we are an open source community. The event itself was very professional, and one of the highlights was meeting the support ninjas and Woo people. His favourite talk was the one on dispelling the code poet myth. Lauren enjoyed giving the spiel about Robot Ninja, and seeing the interest in that new product, despite not having been involved with its development. Overall, the highlight was chatting to and meeting people. Cesar’s takeaway was that the community is amazing! He never realised it was so good. The organisation of WordCamp was flawless (except the lack of chairs for lunch, but maybe that was a feature and not a bug). For Matt, the highlight (not surprisingly) was seeing how people reacted to Robot Ninja, and talking to people about Robot Ninja. James loved seeing people do the robot dance. For Carolyn, her key takeaway from her first WordCamp was that open source is cool, and her favourite talk was Marina’s. Brent’s key takeaway was that people don’t have a problem dancing for hoodies, and the highlight was seeing Matt and Cesar at work on the Robot Ninja booth. 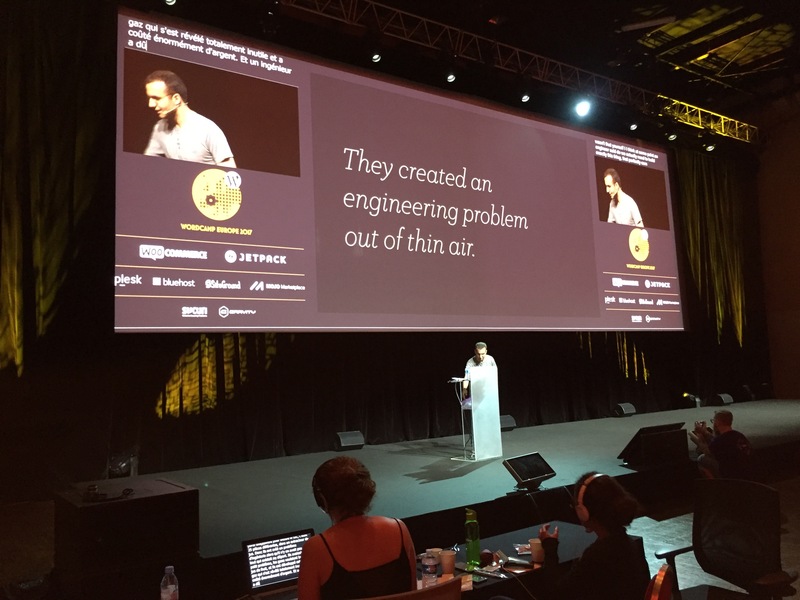 For me, the best part of WCEU was seeing Matt introduce his hard work to the world, and seeing the world respond very positively. It was also super sweet to see the team rallying around him, from helping out answering questions, to bringing him a seat so he could rest, to ensuring his caffeine levels were maintained. I also think I’ll remember our dinner with the friends of Prospress for the rest of my life. My favourite talk was Josh’s, specifically his two points on how to succeed at your business. And of course, we all loved catching up with old friends and making new ones! If you still need more WCEU, here’s a wrap-up list of the wrap-ups that have been posted so far. If you need even more, (and you have good wifi) you can catch all the talks on WordPress TV. 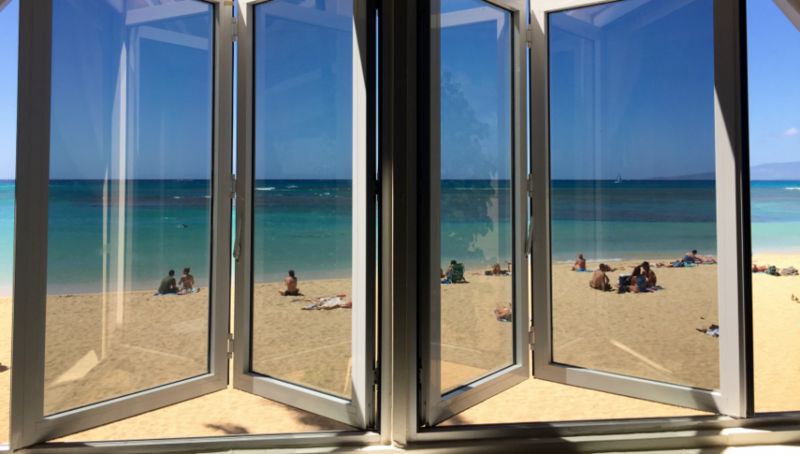 And if you can see yourself with the Prospress team at our next WordCamp/meetup adventure, we are hiring! Check out our open positions, we’d love to hear from you.